As a new member of the Toowoomba Golf Club Middle Ridge, I was delighted to be invited to join Woman’s President Adele Roberts team, to play in the women members 2014 closing competition on Thursday 11th December 2014. The teams competed in an Irish 4BBB Aggregate Stableford 18 hole game with a shotgun start at 8.30am and most were able to finish before the sky opened up at 12.30pm! As you can see by the photos the event was a ‘nautical theme’! 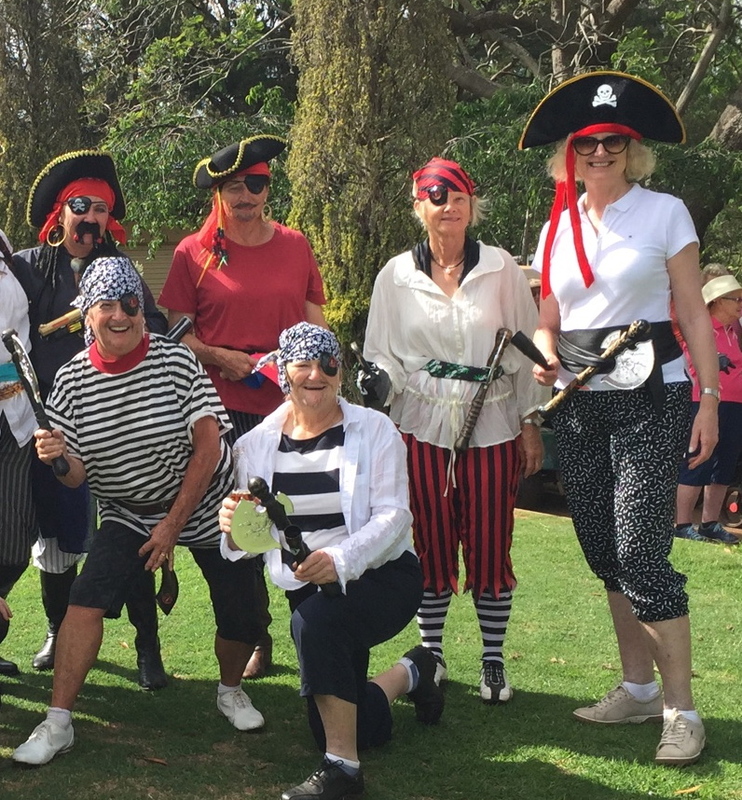 A number of the members participated in the ‘dress up’ and decorated their buggies as well to match their outfits! A great golf day concluded with lunch in the Club Bistro with competition winners being announced and first, second and third prizes awarded to the ‘best dress up’ teams. My 2015 goal – work on reducing my ‘high handicap’!! !